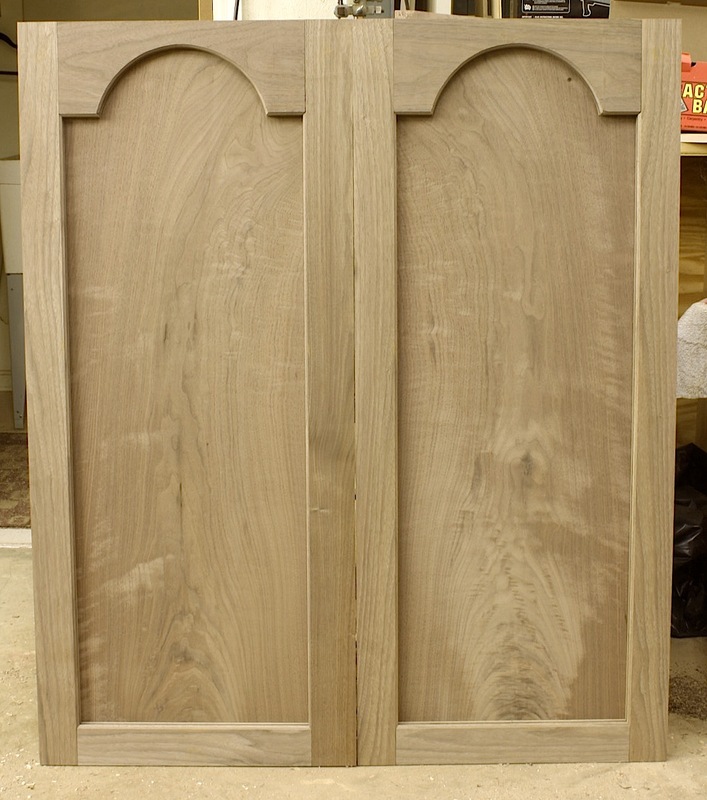 Last week I wrote about tombstone doors. As I began the post, I left out an important piece of information. Not about the panels, but information about the door frame. It’s information that helps you steer clear of a problem. If you mortise by machine and go at it as I do, you try and set your mortise chisel and bit to the exact center of the door stile. Many times you’ll need to adjust to find that middle. Sometimes you actually hit the point you’re after. Or do you? How you work also influences your end results. On shorter door stiles, you plow one mortise then slide your workpiece to the opposite end to plow the second mortise. 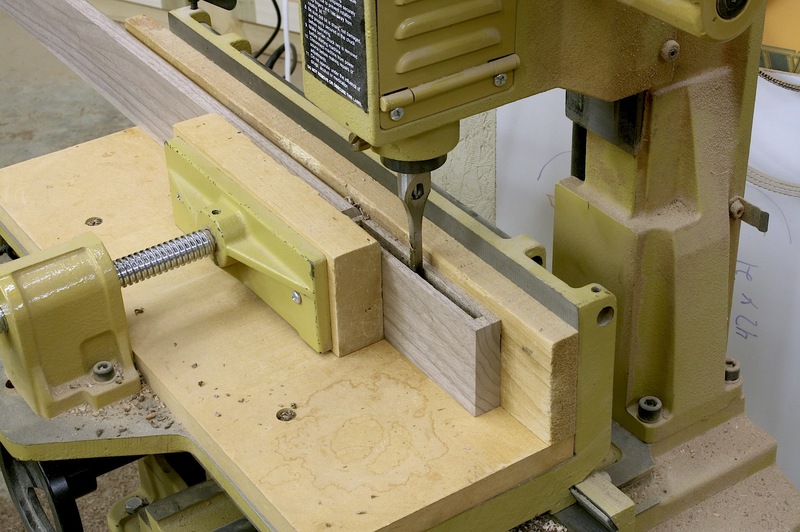 This is the correct method of work because even if you miss the center, you are cutting each mortise an equal distance from the front or rear edge. The real problem here is that your stiles and rails will not align – there’s a step between the two faces. If that step is minimal, you can simply sand the two surfaces flush. However, if you’re working on long stock, you may plow one end then rotate or flip the workpiece end for end in order to plow the second mortise. If you work this way and you missed the center of your stile during setup, you plow one mortise slightly off center toward the front and the other slightly off center toward the rear. That builds a twist into your frame, and that is something that is usually not discovered until you install your door. And the longer your door from top to bottom, the more twist you build in. How do you eliminate this problem of twist and steps? Simple. Plow a mortise into your rail, slide the piece to the opposing end then cut your second mortise. 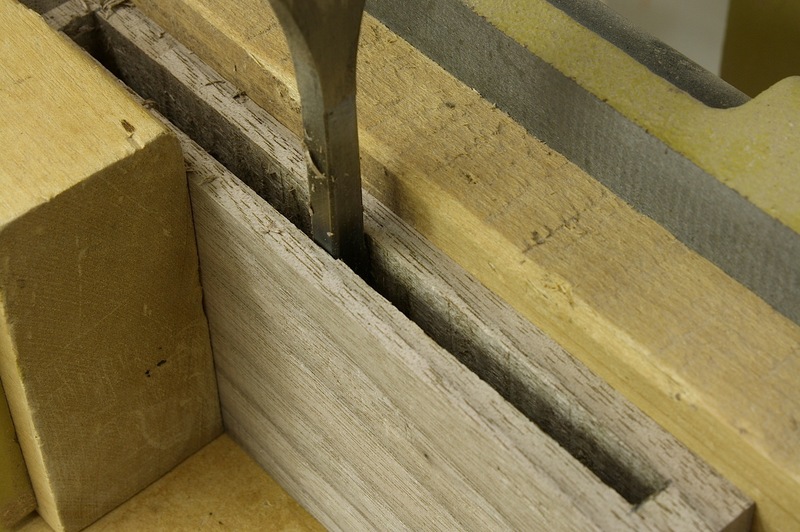 Next, rotate or flip the workpiece and mortise a second pass at the already mortised areas. In the above photo (click the photo for a better look) , you can see the miniscule amount I was off. That little bit would have set a twist in my doors that would have cost me time in the shop adjusting hinges for an unsatisfactory fit. What sounds like extra work actually save hours of fussing as you fit your doors.